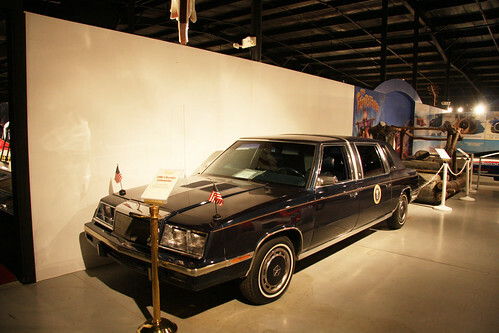 Nixon's 1986 Chrysler K-Car Limousine now resides in a museum in Roscoe, Illinois. YEEEEEEEEAAAAAHAHHHHHHHHHH! There are only 100 of these made! Well, as far as I was able to have a look on interieur details I couldn't find any differences between Nixon's and my limos. I'm not sure if there was anything technical special (protection features etc) about this one. Except the fact that the car was given as a gift from Mr. Iacocca to Mr. Nixon. I had to buy my two limos.